A company of deliverers will be raised East, west, north and south that will work together and bring about the total liberation and deliverance of Nigeria. The moment the deliverers are raised, social mobility will no longer be frozen, our people will become empowered and the voice of the voiceless will be restored and Nigerians will hold their own sovereignty destiny in their hands. Pastor Tunde revealed that the People’s Democratic Party texted him the name of the candidate they had decided should represent them at the polls come 2019 by 11.30 pm last night. Guess that was Atiku, going by the eventual results. Tunde Bakare bashed the country’s electoral body for what he called Osun state’s “selection”. “By what constitutional provision or Act of the National Assembly did the independent electoral body cancel elections in Osun,” Bakare asked. “Did we have a rerun or a test run?” He further inquired. 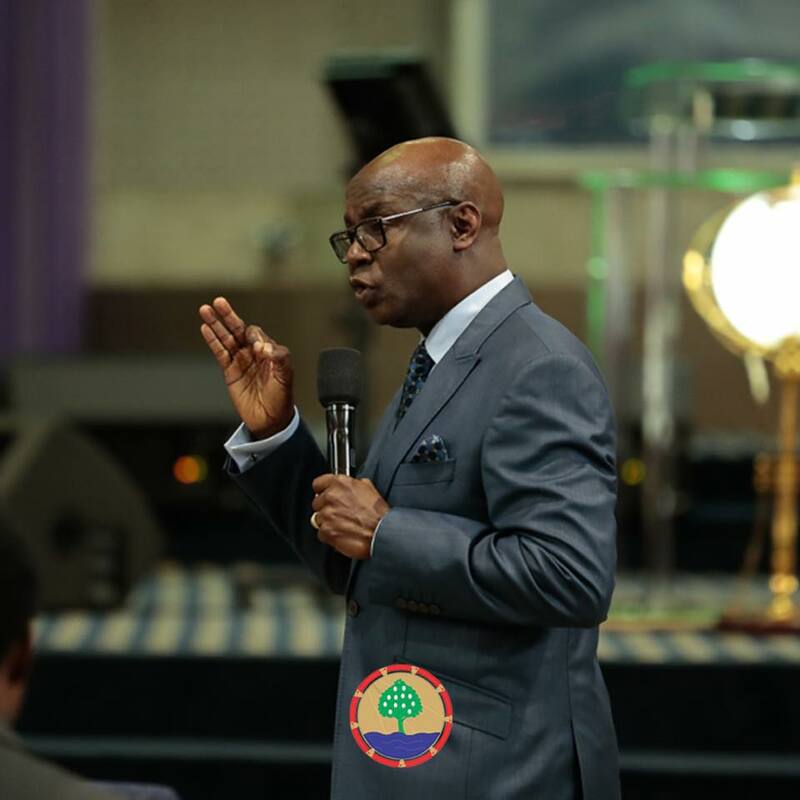 Pastor Bakare referred to section 53 subsection 2 of the Electoral Act (as amended) which empowers INEC to cancel votes. According to the Act, overvoting is the only legal ground upon which INEC is empowered to cancel results. Pastor Bakare reeled out the stats. 5 elections yet around 87 million of us are extremely poor earning our country “the poverty capital of the world”. 5 elections yet more than 37, 500 lives have been claimed by Boko Haram menace, 2.4 million of us are internally displaced, more than 28,000 are refugees and 7.7 million of us require urgent humanitarian assistance. 5 elections yet 6 million infants suffer malnutrition and 13 million children are still out of school. 5 elections yet our country has one of the worst infrastructural deficits in the world and our most of our states are economic vegetables relying on Abuja for life. 5 elections and our paradoxical underdevelopment continue to confound the world. If you’d strolled into Church at this time, you’d have thought you had missed your way into an SUG convention. Men were shouting and throwing fists in the air, moved by Pastor Tunde’s words. “We are better than this. We are better than the retrogressive pace of one step forward, two steps backwards. We are better than this sorry state of poverty. We are not beggars, failures, a burden to the world. We are the hope of Africa. Destined to give the world civilization that will astonish humanity. We are Nigerians! It’s time to take over! Pastor Tunde put forward a 7 point framework to help “facilitate robust public discourse” on political choices in 2019, to “serve as a yardstick for interrogating the polity and challenge incumbents in their attempts to seeking reelection”. Pastor Tunde asked Nigerians to interrogate the polity in the context of the mood -state, expectations, aspirations, anxieties, cries and agonies, of the Nigerian people. For instance, The despondency of cattle rearers in Zamfara, questions on the minds of Nigerians who wonder whether there is really religious freedom in a Nigeria where Leah Sharing is still being held captive for her faith while her mates were released six months ago. On the matter of “the man”, he advised Nigerians to interrogate the kind of person we select to lead us. He listed the kind of leaders we shouldn’t select and they include those who make opportunistic promises before elections they don’t plan on keeping; those who peddle “stomach infrastructure”; leaders who cannot face the Nigerian people in debate or have intelligent conversations on our national problems or tell us precisely what they will do to fix them. He asked Nigerians to pick a new breed of leaders who tick heart, hand and head boxes on the leadership checklist; leaders who have the mental fortitude to navigate the complexities of our national realities to our complexities. Do we pay attention to what happens at PDP primaries? What safeguards have we put in place to ensure the brightest emerge? What informs the endless cross carpeting- the same corrupt blood flows through the veins of these parties? Pastor Tunde took a page from his 2017 address to emphasize his belief in the necessity of restructuring. “I am convinced the idea whose time has come is the restructuring of our nation”, he said. He advised that in 2019, the President should establish a presidential commission (PC) for reconciliation, reintegration and restructuring and the incorruptible Chairperson (who should be willing to serve without remuneration) of the presidential commission should devolve the PC into six zonal commission. Zonal commissions must be technocrats. “At the beginning of this year, the spirit of God said to me politics is not over for you. There is still one thing left for you to do: Run for president. I will work it myself and make it happen in due course. Since then, people have read connotations into my declarations, a number have asked me to flag off my campaign, politicians from different parties have approached me with attractive offers. The gentlemen of the press have inquired as to whether I will run against the incumbent. My response has always been that I will not run against President Muhammed Buhari because I know he is number 15. However on this day, October 7, 2019. I declare to you that I’m running. I am running for a united Nigeria… running to begin to start a conversation around the 7-point agenda…. But don’t get it mixed up. I’m not running with my name on the ballot paper of any party. I am not running for any office in the 2019 elections. I am building a political family. I am the nationhood candidate and the 16th president of the Federal Government of Nigeria.